If you have T-Mobile you can open the T-Mobile Tuesdays app today and claim a $3 Starbucks gift card. This will also work from non T-Mobile phones if you have a friend or family member with T-Mobile that doesn’t want to take advantage of this deal. Just enter their phone number in the app and ask them for the 4 digit pin that T-Mobile will send them. 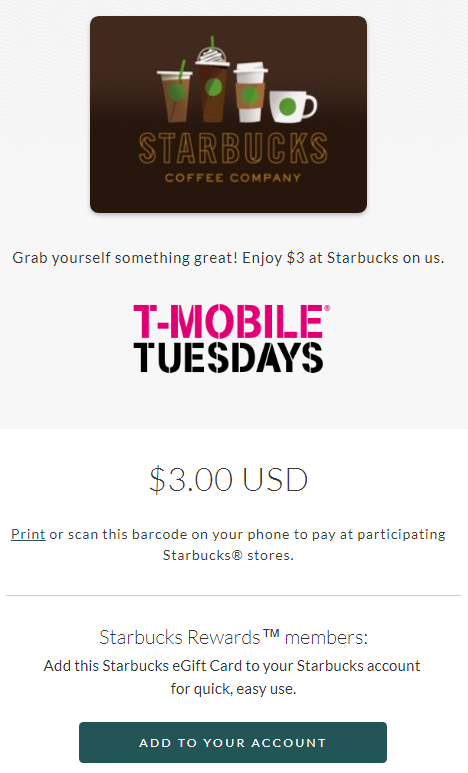 18 Comments On "T-Mobile Tuesdays: Get A Free $3 Starbucks Gift Card"
Can’t seem to get it to work without being a T-Mobile customer. Either you need to be a T-Mobile customer or have a friend with T-Mobile allow you to use their number to claim it. If you are redeeming it through the TMO app, yes, tomorrow at 5am. IF YOU REDEEM IT AND GIVE THEM ANY EMAIL ADDRESS (DOESN’T HAVE TO BE THE TMO CUSTOMER EMAIL) AND THEN WAIT TO THE GET THE CONFIRMATION EMAIL IN LIKE ONCE SECOND, THEN OPEN THAT EMAIL AND CLICK REDEEM, then you will be taken to a page where there is the actual barcode with the BARCODE NUMBER AND PASSWORD UNDER IT. 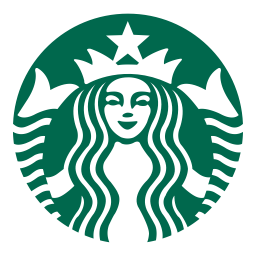 THEN….go download the starbucks app if you don’t have one yet, and when you sign up, you don’t select to buy a card to do so but click “i already have a card” then put in that gift card number and password. REMEMBER, I M NOT TALKING ABOUT THE PASSWORD THAT YOU GET AS SOON AS YOU CLAIM IT AT TMO! WAIT FOR THE EMAIL TO COME!!!!!!! In that way, you can add AS MANY PEOPLE’S CLAIMED/REDEEMED TMO STARBUCKS CARD NUMBERS AND PASSWORDS AS YOU WANT, LIKE IF YOUR FAMILY WANTS TO GIVE YOU THEIRS. I HAVE THREE IN THERE NOW, SO I DID IT SUCCESSFULLY. Too bad there’s no Verizon Vensday! YES….I JUST TOOK THE OTHER 2 FROM MY NON COFFEE DRINKING FAMILY MEMBERS AND PUT THEM IN MY NEWLY CREATED APP THAT NOW HAS THREE OF THEM IN IT. THE LEAST THEY CAN DO SINCE I PAY FOR ALL THREE PHONES ON MY ACCOUNT ANYWAY. I just received my email but doesn’t show the url on it. It cuts off. Can anyone help! 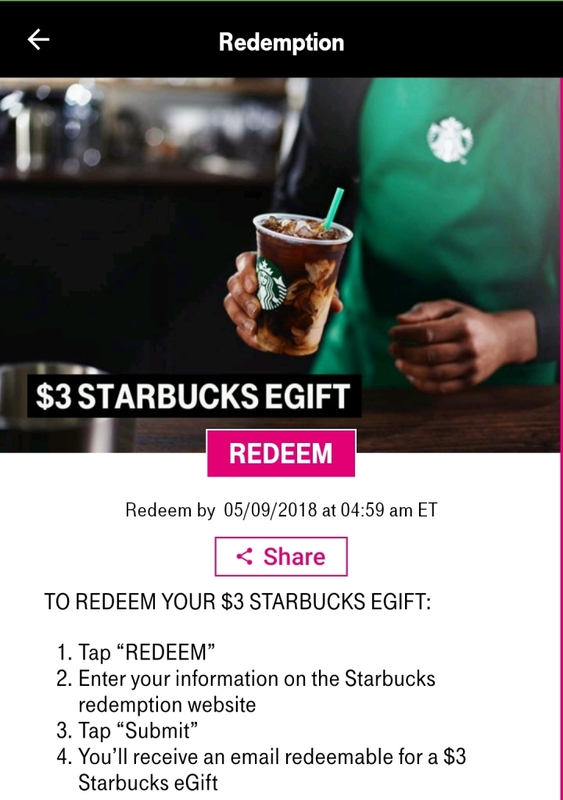 There is no URL that you “need.” After you get your email entitled “Your next starbucks visit is on tmobile,” then you just click the brown rectangle in the email that says “redeem your gift” on it. AFTER YOU CLICK THAT, you are led to another page that says “Grab yourself something great! Enjoy $3 at Starbucks on us.” and at THE BOTTOM OF THAT PAGE IS THE ACTUAL BARCODE YOU CAN EITHER GIVE STARBUCKS TO SCAN (but that expires tomorrow morning at 4:59 am) OR….YOU CAN LOOK UNDERNEATH THAT BARCODE AND copy the looooong gift card number there and then the PASSWORD (called “code”) right after it…..those are the ONLY TWO THINGS YOU NEED TO GO INTO THE STARBUCKS APP AND CREATE A NEW ACCOUNT with that $3 gift. 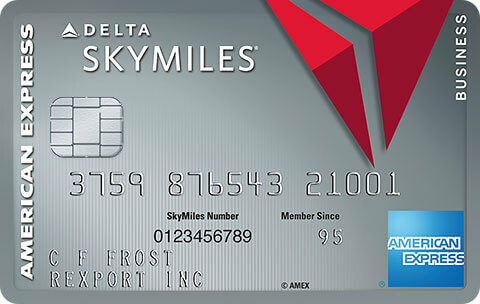 Make sure you don’t select create and account with a new card that will cost you $5!!! SELECT “I ALREADY HAVE A CARD/CODE” or whatever was similar. THEN YOU INPUT THOSE TWO NUMBERS I SAID EARLIER. iF YOU HAVE MORE CODES FROM OTHERS WHO DONT WANT THEIRS FROM TMOBILE, YOU CAN HAVE THEM GO THROUGH THE SAME STEPS until they get the card number and code and you put it in YOUR APP, JUST LIKE DUNKIN DONUTS TMO GIFTS LET YOU DO. You do NOT need to use (initially) your tmo email address and the tmo customer real name when clicking “redeem” in the tmo app. Just put whatever name is YOURS and whatever email is YOURS that you like and it will allow you to get the email that has the “redeem your gift” button in it. Redeemed but never got the email for starbucks! It should come instantaneously. Make sure that you get the FIRST CONFIRMATION ON THE SCREEN THAT SAYS “thank you, youve successfully redeemd your $3 starbucks egift card. your order will be delivered to the email address you specified” THEN that screen also has a “confirmation number” from them and the email address you selected it go to. underneath, it has “if you have any questions…..” and a looooong url for starbucks BUT YOU DON’T NEED THAT!!!!!! IT’S CUT OFF, BUT YOU DON’T NEED IT. JUST GO TO THE EMAIL ADDRESS YOU TYPED IN THAT WILL BE RIGHT IN THE MIDDLE OF THAT SCREEN. look for that email and make sure you typed in the email address correctly. DOES ANYONE KNOW IF IT EXPIRES AT 5AM MAY 9TH TO REDEEM IT IN THE STORE, OR JUST TO REDEEM IT TO SEND TO YOUR EMAIL ADDRESS??? STARBUCKS IDIOTS ON THE PHONE CLAIM IT’S ONLY THROUGH MAY 8TH AND THEIR MAKING STUFF UP BECAUSE THEY DON’T KNOW, AND I HAD TO TELL THEM THAT EVEN THIS BLOG HAS A SCREEN SHOT THAT SAYS CLICK HERE TO ADD IT TO YOUR STARBUCKS ACCOUNT, WHICH THESE IDIOTS CLAIMED WAS NOT POSSIBLE. 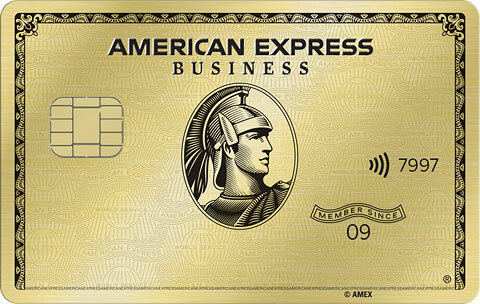 SO, IS THERE A STARBUCKS APP OR SOMETHING OR JUST AN ONLINE ACCOUNT I CAN CREATE TO STORE THE CARD AS A GIFT CARD, SORT OF LIKE THE DUNKIN’ APP DOES ON TMOBILE TUESDAYS WHERE IT DOESN’T EXPIRE AT ALL?? I’M ANSWERING MY OWN QUESTION: YOU ADD IT TO A STARBUCKS ACCOUNT IN THE APP OR ONLINE AND IT WILL NOT EXPIRE. TMO REP READ THAT TO ME WORD FOR WORD IN THE DETAILS THEY WERE PRIVVY TO THAT WE WERENT. Slow it down on the lattes! You sound wired with all the caps. But it was nice for you to explain it to all.